Aaron Alexander is gearing up to release his album "Memento Mori" this Friday. 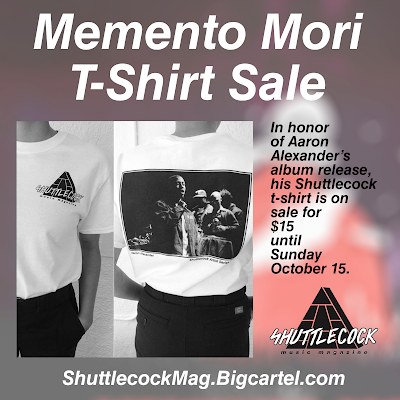 To celebrate, we're putting his Shuttlecock t-shirt on sale for $15 until this Sunday. Kansas Citians who would like to skip the shipping process can also choose to pick up their t-shirt at Mills Record Company and receive a refund on the shipping costs; just shoot us a message or mention it in the notes as you check out. Visit the Shuttlecock store here.